Melissa relies on a combination of MetroBus and MetroLink to get to work and all around town. When Melissa is finished for the day at her job in Chesterfield, she boards the #258 Clayton-Chesterfield and rides the bus to the Clayton MetroLink Station. From there, she transfers to the train and rides to the Central West End Transit Center, where she catches the #80 Park-Shaw to her home. 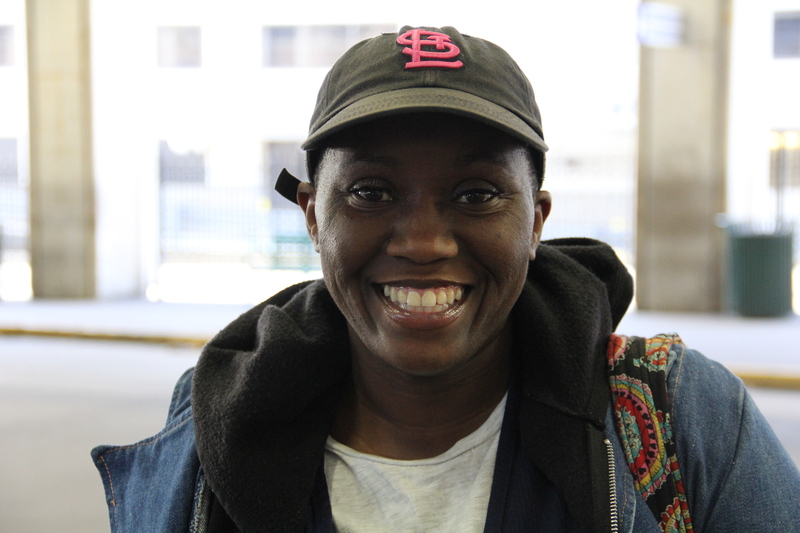 Melissa has used MetroBus and MetroLink ever since she moved here from New Orleans about 13 years ago. Her transit trips have allowed her to appreciate the landmarks around her and see the city in a whole new way. In addition to checking out what’s outside her window, Melissa also enjoys what occurs inside the train and bus. “I like meeting new people,” she said.